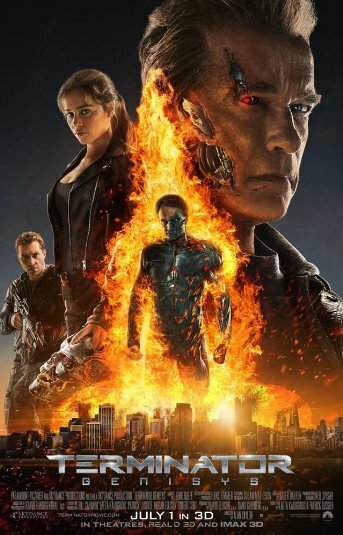 Terminator Genisys is the next film in a line of Terminator franchise movies. But this one is a bit different. OK, maybe a lot different. This is a sequel that reboots the franchise in a different way, like how J.J. Abrams rebooted Star Trek, keeping it like it was while changing up the canon within the outline of the familiar just enough to make it his own, so to speak. You'll see what I mean when you check out the trailer below. The rules have been reset. After finding himself in a new time-line, Kyle Reese teams up with John Connor's mother Sarah and an aging terminator to try and stop the one thing that the future fears, "Judgement Day". Cinema Static's Terminator Genisys FB Album. The film is due in theaters on July 1st, 2015.